In Toronto Robert learned choral arranging, and played lead trumpet in Percy Faith's Canadian Orchestra in his late teens; he was a member of a long-running Canadian radio show "The Happy Gang", made frequent trips to New York where he played with musicians such as Dizzy Gillespie and Oscar Peterson. After Percy Faith left for the United States, Robert Farnon replaced him as conductor of the CBC orchestra at age 23, but then answered the call to military service during World War II. In 1944 for his military service, Farnon conducted the Canadian Band of the Allied Expeditionary Forces. After, he remained in England where he was to reside the rest of his life. He was a major contributor to the Chappell Recorded Music Library, based in London. This library, a part of the Chappell Publishing Company, was used by many early television networks and stations both in the US and in Europe. He has influenced, and has been admired by, many musicians and composers worldwide, as the "dean of Light Music composers". Frank Sinatra called Farnon "the guv'nor" in appreciation for his orchestration skills. Robert Farnon was fortunate to have received recognition not only for his radio and TV theme music by a curious public, but was also able to enjoy commercial successes as an orchestra leader on British Radio and Television during the 1940s--1950s. His early LP albums of mood music arrangements, as well as those for such solo artists including George Shearing and others, have become collectors items. He also has scored 40 films, including Captian Horatio Hornblower, of which a CD release was made. But it is his original "mood music" compositions which remain memorable examples of this genre of light music, as will be noted below. In England in 1995, a resurgence of interest began in Light Music. EMI (a British label) has released a series of Light Music CDs commercially. Marco Polo, Reference Recordings, and other labels are also active in releasing commercial recordings of Robert Farnon and other British composers of Light Music. Throughout the late 1990's, Mr. Farnon continued to compose and arrange for various artists, and supervised the selection of his music for CDs. His last works included a concerto for amplified bassoon, and a third symphony dedicated to the city of Edinburgh. Robert Farnon passed away at his home in St. Martin's in Guernsey, England in April, 2005 at the age of 86 leaving behind an incredible legacy of work. Currently the Robert Farnon Appreciation Society in England (founded in 1956) is one of the best Light Music societies in the world. It has been able to secure many CD reissues of Light Music from production music libraries which are made available to members, and it publishes a periodical journal called "Journal Into Melody". For membership information and a preview copy of the "Journal Into Melody" see the Robert Farnon Society Web Site. born in Cambridge, Massachusetts, of Swedish immigrant parents. In his early teens he studied piano and music theory at the New England Conservatory of Music. He entered Harvard College in 1925 and played trombone in the Harvard Band. During his studies including Harvard graduate school, he studied composition with Walter Piston and Georges Enesco. For a time he wasn't sure whether he would teach languages or become a musician. After receiving his Masters Degree in Music from Harvard, he even took more graduate courses in languages at Radcliffe College. But when his arrangements for the Harvard College Band attracted the attention of the Boston Pops orchestra, he made his career choice and moved to New York City in 1936. His arrangements and compositions for the Boston Pops Orchestra were conducted by Arthur Fielder, but sometimes Leroy Anderson was often a guest conductor of his own pieces at many pops concerts throughout the U.S. and Canada. As his work became more popular with radio listeners in the 1940s, he developed his own orchestra for recording purposes, and created hits in the US during the heydey of Light Music. His instrumental hit "Blue Tango" combined latin rhythms with American jazz melodic idioms, and was a smash hit in 1951. Several other orchestra leaders from Hugo Winterhalter to Guy Lombardo made cover versions of this tune. an Englishman by birth, he immigrated to the US when he was 4 years old. He attended the Chicago College of Music, graduating at age 16, and was a member of Ted Fio Rito's big band in the 1930s. Soon he became active in network radio music at NBC and Mutual, where he had his own orchestra program called "California Melodies". He was married several times, including a brief marraige to Martha Raye in 1938, and to Judy Garland from 1941-45. He also became music director of MGM studios in 1941. In 1943, while he was in military service during World War II, he had a major #2 hit -- an instrumental featuring pizzicato strings, which had been composed in 1942. It was "Holiday For Strings" a classical of Light Orchestral writing, which stayed on the hit parade charts for 21 weeks, and became Red Skelton's signature tune and theme on radio and TV. As with Percy Faith, the David Rose Orchestra found some success in the record business recording tunes by other composers arranged distinctively by Rose. In 1944, he recorded a Nat Simon tune called "Poinciana (Song of the Tree)", which Bing Crosby had made into a vocal hit. Rose's recording also achieved some notice for 6 weeks on the hit parade--reaching #11. In 1957, his orchestra enjoyed some minor success with a rather simple tune by Larry Clinton called "Calypso Melody", capitalizing on the Jamaican Calypso music fad of the times. Rose's orchestra followed this in 1958 with an arrangement of Moe Koffman's "Swingin' Shepherd Blues" with a jazzy flute melody, and in 1959 with an arrangement of "Like Young" featuring its composer, Andre Previn, at the piano. Rose's distinctive polychordal background string arrangement of "Like Young" is a technique also used by composer/arranger Nelson Riddle in his "Sea of Dreams" album, and in ballad background arrangements for Frank Sinatra at about the same period. Rose recorded many instrumental albums for the MGM label, which are now collectors items. He is not only remembered for over 50 commercial LPs but for his many American TV themes. These included themes for The Red Skelton Show, Mr. Adams and Eve, Men Into Space, Bold Venture, The Jim Backus Show/Hot Off The Wire, Hallmark Cards Specials, High Chapparal, Bracken's World, Little House on the Prarie, West Point, Bat Masterson, Case of the Dangerous Robin, Dundee and the Culhane, and The Monroes. Radio show themes composed by Rose in the 1940s and 1950s included "Hallmark Theme" for the radio series "Hallmark Playhouse", "Bold Venture" for the radio and TV series of the same name, and of course his popular "Holiday For Strings" used on Red Skelton radio and TV shows for years. It is suggested in the book "TV's Greatest Hits" by John Burlingame, that Ray Llewellyn was a pseudonym used by Rose [among other composers] for scoring TV shows when working outside union jurisdiction, especially for low-budget series produced at ZIV-TV. Some researchers including producer and library music expert Paul Mandell, believe that David Rose was only one of several composers who wrote these themes for ZIV, and for the World Broadcasting System library which Frederic Ziv purchased from Decca. Other composers who wrote for ZIV during this period included Lyn Murray, Victor Young, Peter Yorke, Ray Bloch and Dmitri Tiompkin. As to which composer actually wrote which themes, one can only speculate...but the two Main Title/End Credit themes for "Hiway Patrol" bear more than a passing similarity to the "Men Into Space" march theme which was written by Rose. According to MGM LP liner notes during the year 1962, a total of 22 American TV shows had themes by that point which were composed by David Rose. Particularly notable were the cues he composed for the Skelton show over the years, which underscored characters "Clem Kadiddlehopper", "The Lovable Clown". Rose also composed cues for the Western TV series "Bonanza." One was a short Signature/Logo called "The Peacock", which was used behind a spreading peacock animation when NBC color TV first went on the air in 1961 to open "Bonanza" (the first regular TV series filmed in color.) Another memorable cue Rose composed was a "Chapter Title" that opened nearly every episode of "Bonanza", after the opening commercial. This cue was based upon a melody he wrote called "The Ponderosa" -- the name of the big-sky ranch where the Cartwright family lived. Much to his chagrin, one novelty piece composed in 1958 for a TV show called "Burlesque" became his biggest hit. It was called "The Stripper", and it topped the pop charts in 1962 when a Disc Jockey discovered it and started playing it frequently. Unfortunately repackagers of music will often use this gaudy piece of fluff as an example of his work whenever his music is released, simply because of its chart success. But he has a much larger body of craftsmanlike Light Instrumental Music which has unfortunately receded in public awareness. He was known as an enthusiast of railroad trains. He actually built a small-guage railroad on which his friends and their children could ride, on his property in Encino, California. David Rose succumbed to heart disease at the age of 80. Fiddlin' For Fun (1952) composed by the French brothers Faustin Jeanjean & Maurice Jeanjean. [French Title:] Les Violins s'Amusent. born in Cleveland, Ohio as "Enrico Nicola Mancini", the man who was known later as "Hank" Mancini to his Hollywood colleagues, grew up in Alquippa, Pennsylvania. Although his was not a musical family, Henry showed early interest and aptitude for the piano. At the age of 16 he was invited to join the "Hal Curtis Orchestra" -- described as "a territory band" that played jobs in the Midwest. Through the encouragement and connections of a local teacher, he was able to attend the Julliard School of Music in New York. He and his wife moved to Hollywood in 1947, where he found encouragement from people such as composer David Rose, and was able to get arranging work. In 1952, he joined the music department of Universal-International Studios, where he contributed to more than 100 films, in the "factory system" they had for supplying film scores. He received an Academy Award nomination for one of these--The Glenn Miller Story. He also wrote the score to Orson Welles' "Touch of Evil". After leaving Universal-International in 1958, he found an assignment by chance, running into an acquaintance on his way to a studio barber shop. That acquaintance was Blake Edwards, who was producing the TV series "Peter Gunn" (1959). Mancini added a sophisticated low-key jazz touch which revolutionized TV scoring in the US, and produced the first hit TV soundtrack album--Peter Gunn. During this busy time in his career, he took time to write a classic orchestration textbook called "Sounds and Scores" which had a set of companion discs with generous examples from his TV and record arrangements. Many pop arrangers have credited this book with helping them understand the relationship between the sounds of orchestral voicings heard on TV (or on disc) and the printed score. His association with Blake Edwards continued for many years, scoring such TV series as "Mr. Lucky", and films such as "Breakfast at Tiffany's", "The Days of Wine and Roses", "The Pink Panther", "Hatari!" and "Charade". His song "Moon River", with lyrics by Johnny Mercer won an Academy Award in 1962, the same year "Breakfast at Tiffany's" won a second Oscar for Best Score for a Motion Picture. The "Pink Panther" film theme was also recycled for a 1969 Saturday morning TV cartoon series theme. The decade of 1957 - 1967 was perhaps Mancini's "golden period", when he composed many of his greatest, most memorable tunes, which have become Light Jazz/Easy Listening favorites. Over the years since leaving Universal-International, Henry Mancini scored over 40 more films and quite a few TV shows. He found a comfortable home for his family in Holmby Hills, CA during this time. He also found that he enjoyed conducting Pops Orchestra Concerts, and in his later years, conducted many Pops Concerts throughout the US. After the success of his early TV scores for the Blake Edwards series "Peter Gunn" and "Mr. Lucky" in the late 1950's / early 1960's, Mancini's image of providing classy jazz and easy listening melodies for theme tunes was well established for television crime dramas. Fortunately Mancini did not get typecast as just a crime drama composer for television to the extent that other contemporaries may have been such as Mike Post and Pete Carpenter. On the 2002 TV documentary series "Music: Behind The Scenes", film composer George S. Clinton paid tribute to Mancini. Perhaps he summed up Mancini's appeal best by saying "He had a true gift for writing melody; There are many people who can write music. But Mancini had the gift of melody." Mancini was considered a real gentleman, popular with his colleagues. On the same TV documentary, legendary film composer Elmer Bernstein called Mancini "cool", and said, "He was probably my best friend in the business." Mancini was a wine connoiseur and an avid art collector right up until his death at age 70 from cancer of the liver, in 1994.
was born Nelson Smock Riddle in Hackensack, New Jersey, the son an Alsatian/Spanish mother and an English/Irish/Dutch father who was a a commercial artist by trade, but enjoyed playing trombone in his spare time. Originally young Nelson took up the piano, but switched to his father's instrument of trombone when he was 14. During his senior year in High School (1939) he played trombone in the New Jersey State Orchestra and several "kid bands" in the summer vacation area of Rumdel, New Jersey that played in the big band style. During a summer stay in Rumdel, he met another Rumdel resident named Bill Finegan who would later become a well-known arranger himself. Finegan taught Riddle the rudiments of arranging for a dance orchestra and other techniques. Then Finegan was hired as an arranger by the Glenn Miller Orchestra. After a brief stint in the army he returned to New York City. In the 1940s, Nelson played trombone and began writing arrangements for several Big Bands in which he played including Alvino Rey, Charlie Spivak and Tommy Dorsey. He credits Tommy Dorsey's staff of fine arrangers as helping him learn even more of his craft. In 1946 he got the opportunity to relocate to Los Angeles via a job arranging for The Bob Crosby band. Being in Los Angeles also gave him the chance to improve his skills by studying classical orchestration with Mario Castelnuovo-Tedesco and studying conducting with Victor Bay. He discovered he was a better arranger than trombone player, and was soon working as a staff arranger/composer at NBC in Hollywood. While working at NBC, mostly scoring radio dramas, he soon got an opportunity via his friend Les Baxter, to arrange backgrounds for Nat "King" Cole at Capitol Records, which led to a long and fruitful collaboration. (Their first hit together was "Mona Lisa" in 1950, conducted by Les Baxter.) His second hit for Nat Cole was "Too Young" in 1951. He found another vocal client who joined the Capitol roster in 1953--Frank Sinatra. The collaboration started out when Nelson "subbed" (substituted) for arranger Billy May. In fact Sinatra was told that Riddle was "just conducting Billy May's arrangements", but Sinatra soon discovered the truth, and warmed up to the Riddle style. The partnership became legendary. Although Riddle had been known for his work in the swinging jazz band idiom, he also did many tasteful ballad arrangements utilizing strings, providing a uniquely American voice to the more jazzy side of Light Music. 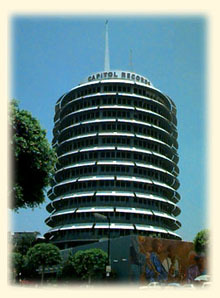 In addition to arranging pop songs for the Capitol Records roster and a few instrumental albums under his own name, he demonstrated his versatility by composing dozens of television episode scores, composing over 30 feature film score including an Oscar-winning one for "The Great Gatsby", plus a little-known aspect of his career: arranging and orchestrating some of Hollywood's greatest film musicals -- including "Carousel", "Pajama Game", "Guys and Dolls", "Pal Joey", "Can Can", "How To Succeed In Business Without Really Trying" and "On A Clear Day You Can See Forever". Much of Nelson Riddle's skill and unique talent can be heard in his arranging of a melody whether his own or a tune by another composer. His arrangements began in a similar style to his friend Les Baxter (as his 1956 hit arrangement of "Lisbon Antigua" demonstrates), but eventually his instrumental recordings evolved into a more original style, often featuring a bass guitar or bass trombone playing melody. He scored TV series with memorable Main Title/End Credits THEMEs including "Route 66", "The Untouchables", and "Naked City". For his swinging background arrangements for Sinatra and other Capitol artists, Riddle used a technique of using a simple catchy rhythmic motif for counter- melodies. He also worked these motifs into the introduction and coda to the song to unify the arrangement. Initially, this may have been a way of fooling the "powers that be" that Billy May had done these arrangements. But in synthesizing this idea with his own style, he created a more contemporary "new sound" for Sinatra, which helped keep his career evolving, following Sinatra's Big Band and radio crooner days with arranger Axel Storhdal. Riddle also shared a technique used by David Rose and others of using polyharmonies in the background arrangements--that is, a fusion of two chordal ideas simultaneously which seems to merge naturally as an extension of one of them. All of these techniques -- the countermelodies, the unifying rhythmic motifs, and the judicious use of interesting harmonies -- could just be formulaic in the hands of lesser talents. What Nelson Riddle had was the good taste to know when and how to utilize them in the most effective way. building in Hollywood, and yes, Sinatra actually conducted the orchestra. Freeway Fantasy (1970) from "Nelson Riddle with the 101 Strings"
Copyright 1996-2016 by The Media Management Group. All Rights Reserved.